Customized security programs that meet the needs of industrials and manufacturers. Changes in supply and demand, emerging environmental concerns, evolving criminal activity, and many other factors demand a flexible approach. sECURIworld has decades of experience in customizing efficient, effective and comprehensive safety and security programs to meet the dynamic needs of industrials and manufacturers. 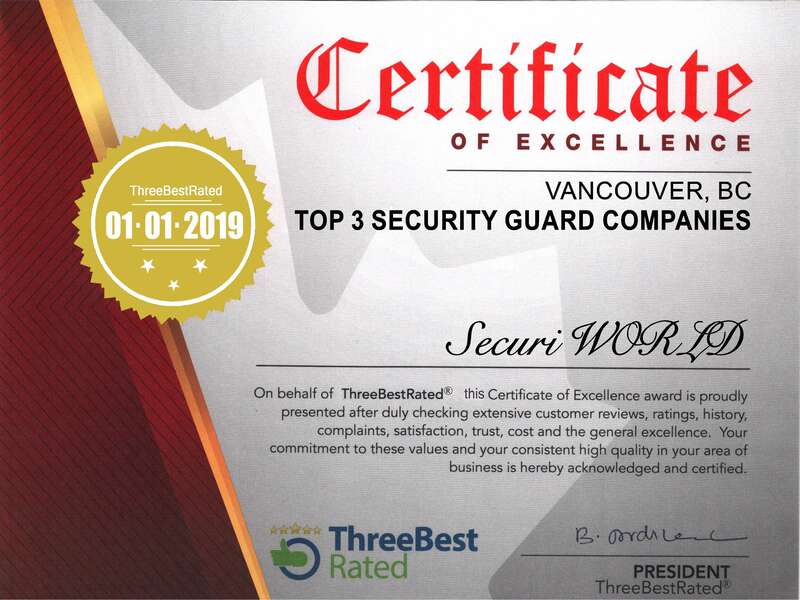 SecuriWORLD Canada is Canada’s leading security solutions company, offering integrated security services to clients in a wide range of industries. For our industrial and manufacturing clients, we have developed an exclusive package of service offerings that fully integrates all aspects of the security program, including threat risk analysis, security personnel, security technology management, specialized training, security awareness programs, and local emergency management partnerships. We are proud to be a Canadian company servicing the security needs of Canadian institutions and the Canadian public for nearly 50 years. We work with thousands of clients across the country, and are the employer of choice for security professionals in Canada. With SecuriWORLD Canada as your security partner, you can rest assured that we will deliver substantial cost savings to you, and provide the data necessary to justify your security spend. Our scorecarding and quality control processes lead the industry, and will ensure that you and your management can maintain productivity and cost controls within a secure environment. Factories and industrial sites have large amounts of stock and equipment spread out over large areas, therefore it can often be difficult to keep watch of everything when work is being done. SecuriWORLD Security have a comprehensive range of security services on offer that we can tailor perfectly to suit the security needs of your premise. SecuriWORLD is a trusted security company, Whether unwanted situations break-out between co-workers or emergency planning is needed, our factory and industrial site security guards can provide instant safety. Invest in security solutions which are specific to your business needs and can provide protection 24 hours a day throughout the year. Each member of security staff is trained in first aid and health and safety procedures, responding to emergency situations promptly. Often workers can injure themselves in factories and warehouse environments and they might be working alone or unable to send for help. By having experienced guards with health and safety knowledge, you will be able to carry on working knowing they are being prevented and if an incident was to occur, they are being dealt with effectively.